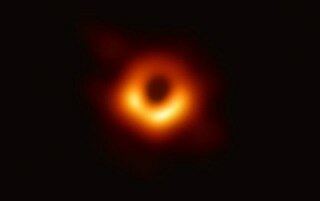 Currently, in coordinated press conferences worldwide, EHT scientists reported that they have achieved a breakthrough by exposing the first direct visual proof of a gigantic black hole as well as its shadow. This innovation was announced in a sequence of six papers featured in a special issue of The Astrophysical Journal Letters. The image exposes the supermassive black hole located at the heart of a massive galaxy called Messier 87 in the neighboring Virgo galaxy cluster. Located 55 million light-years from Earth, this black hole has a mass that is 6.5-billion times that of the Sun. This is a huge day in astrophysics. We’re seeing the unseeable. Black holes have sparked imaginations for decades. They have exotic properties and are mysterious to us. Yet with more observations like this one they are yielding their secrets. This is why NSF exists. We enable scientists and engineers to illuminate the unknown, to reveal the subtle and complex majesty of our universe. Dr France Córdova, Director, National Science Foundation. Telescopes around the world are linked by the EHT, creating an Earth-sized virtual telescope with unparalleled resolution and sensitivity. The culmination of years of international association, the EHT provides researchers a novel method to explore the most extreme objects present in the Universe and predicted by Einstein’s general relativity at the time of the centennial year of the significant experiment that initially established the theory. Sheperd S. Doeleman, EHT Project Director, Center for Astrophysics, Harvard & Smithsonian. The National Science Foundation (NSF) contributed considerably in this discovery by supporting radio astronomy research facilities, interdisciplinary scientific teams, and individual investigators since the establishment of EHT. NSF has directly funded over $28 million in EHT research in the last 20 years. This is the largest commitment of resources for the project, to date. Black holes are unusual celestial objects that have huge masses but very compact sizes. When these objects are present, they affect their environment in severe ways, super-heating any nearby material and warping spacetime. If immersed in a bright region, like a disc of glowing gas, we expect a black hole to create a dark region similar to a shadow—something predicted by Einstein's general relativity that we've never seen before. This shadow, caused by the gravitational bending and capture of light by the event horizon, reveals a lot about the nature of these fascinating objects and allowed us to measure the enormous mass of M87’s black hole. Heino Falcke, Chair, EHT Science Council, Radboud University. Numerous imaging and calibration techniques have exposed a ring-like structure having a dark core region—the shadow of the black hole—that continued to persist over many independent EHT observations. Once we were sure we had imaged the shadow, we could compare our observations to extensive computer models that include the physics of warped space, superheated matter and strong magnetic fields. Many of the features of the observed image match our theoretical understanding surprisingly well. This makes us confident about the interpretation of our observations, including our estimation of the black hole's mass. Paul T.P. Ho, EHT Board Member and Director, East Asian Observatory. It was a difficult challenge to create the EHT, one in which a global network of eight pre-existing telescopes installed at numerous challenging high-altitude locations have to be upgraded and connected. These sites included mountains in the Spanish Sierra Nevada and Arizona, volcanoes in Mexico and Hawai`i, Antarctica, and the Chilean Atacama Desert. A technique known as very-long-baseline interferometry (VLBI) is used by the EHT observations. VLBI synchronizes telescope facilities worldwide and leverages the Earth’s rotation to create one massive, Earth-size telescope observing at 1.3 mm wavelength. The VLBI technique enables the EHT to realize an angular resolution of 20 micro-arcseconds, which is sufficient to read a newspaper in New York from a Paris’ sidewalk café. Contributing to this result were APEX, ALMA, the IRAM 30-m telescope, the Large Millimeter Telescope Alfonso Serrano, the James Clerk Maxwell Telescope, the South Pole Telescope, the Submillimeter Telescope, and the Submillimeter Array. Highly specialized supercomputers hosted by MIT Haystack Observatory and the Max Planck Institute for Radio Astronomy integrated petabytes of raw data from these telescopes. The recently reported observations and the development of the EHT are the culmination of years of theoretical, technical, and observational work. This instance of global teamwork called for close association by scientists across the globe. The EHT was developed by 13 partner institutions, who worked together using pre-existing infrastructure as well as support from various agencies. The US National Science Foundation, funding agencies in East Asia, and the EU’s European Research Council (ERC) provided major funding.